Product prices and availability are accurate as of 2019-04-07 06:05:27 UTC and are subject to change. Any price and availability information displayed on http://www.amazon.com/ at the time of purchase will apply to the purchase of this product. 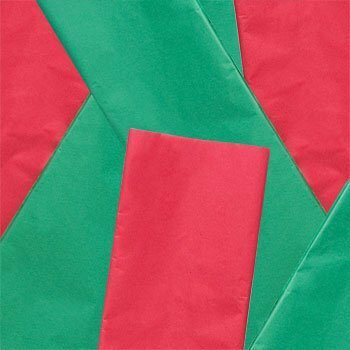 Tissue paper in traditional Christmas red and green is a wonderfully festive touch for lining holiday gift boxes or filling gift bags! Also great for craft projects and as filler for gift baskets. 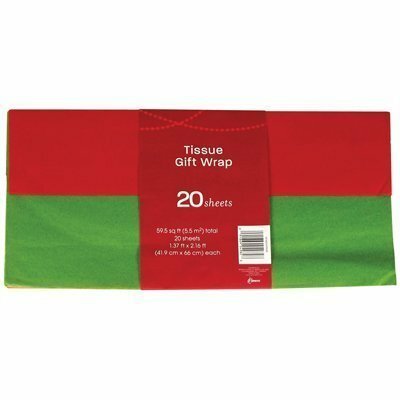 Pack of 20 sheets Each pack is evenly divided between red and green tissue (10 red, 10 green) Solid Christmas colors 17" X30"